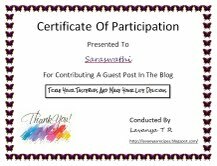 After my Guest Post for my dear blogger friend Lavanya of Tickle your Tastebuds and Make Life Delicious. Just posting for my readers. Also received a certificate of participation. Thanks Lavanya and this was Shortlisted recipe for the “From your kitchen contest: special Ingredient – “Green Peas / Matar” – Popular choice winner, on Top 5 by FoodFood on Facebook. I didnot win but I was happy to be on Top 5 and got about 25 likes. Thank you everyone. Kasoori Methi - 2 pinches. Wash and clean, pat dry methi leaves. In a kadai, heat oil, add the spices saute for a minute. Add onions and fry till transparant. Add ginger garlic paste.save little for later use. Add methi leaves, pudina and fry. Off the stove. Allow it to cool. Heat a kadai, add butter/ghee, add spices if you require and saute. Add saved onons, ginger garlic paste and saute. Add the grounded mixture. and boil it. Add milk and boil. Add sugar. Check with salt. Off the stove. I love methi dishes..but have never tried this combo..
Congrats Sara, have seen ur guest post at Lavanya's space.Wat a vibrant gravy. i have bookmarked it already to make it soon and goin to follow ur steps. wow interesting methi matar recipe. love that green color of curry. nice addition of mint in it.